As the holidays are approaching, it is the best time to hover your thoughts on the gift ideas. With the growing popularity of drones in almost every sector, it would be nice if you gift your loved ones a piece of future technology. 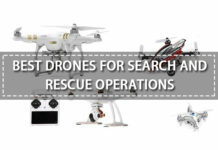 Don’t worry, you don’t have to stumble upon every online store looking for the best drones. We have done the research work for you. 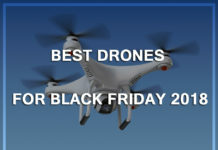 Scroll down to look at some of the best drones we have shortlisted as the best Christmas present. 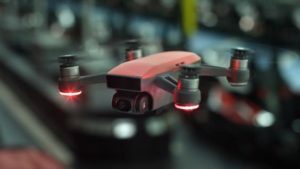 Parrot has been known for manufacturing best-quality drones capable of performing major activities a drone enthusiast would want, for several years now. 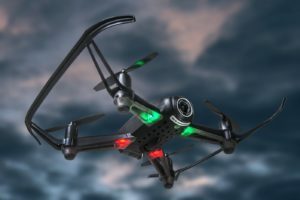 While some models of the Parrot drones can retail for $500-$1000 depending on the accessories you are availing with them, the Parrot AR Drone 2.0 Elite Edition is probably the most affordable full-size drone available. Without a doubt, this elite edition Parrot AR drone sits on the line between an outstanding toy drone and a borderline professional drone, making it one of the best Christmas presents for your loved one. 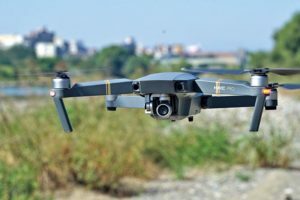 The primary feature of this drone includes a refined application that is available for Android and iOS tablets and smartphones. The application is free to download and easy to get started with. 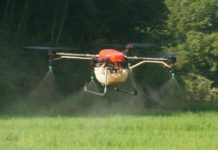 It offers piloting controls and you can record and share photos and videos directly from the application to other devices or even social media. Other features include a camera for recording HD videos, still photos, and live video streaming. 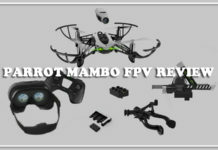 The Parrot AR Drone 2.0 Elite Edition mirrors the look of camouflage. 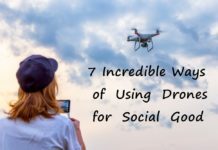 The drone is composed of Styrofoam and plastic making it extremely lightweight. However, it comes with many safeguard features like ultrasound sensors. 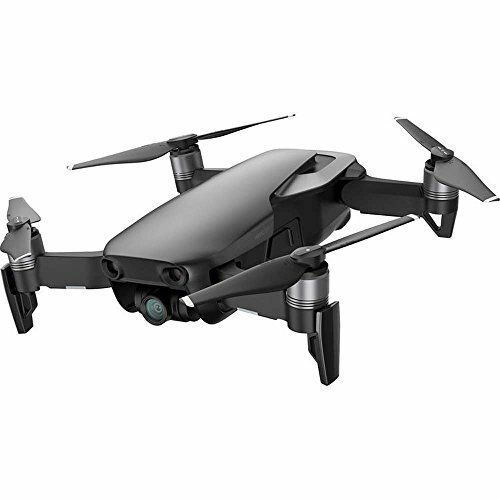 DJI Mavic Pro is an impressive mini quadcopter with a feature-rich platform that offers many benefits to every user. This comes as an excellent Christmas gift idea. 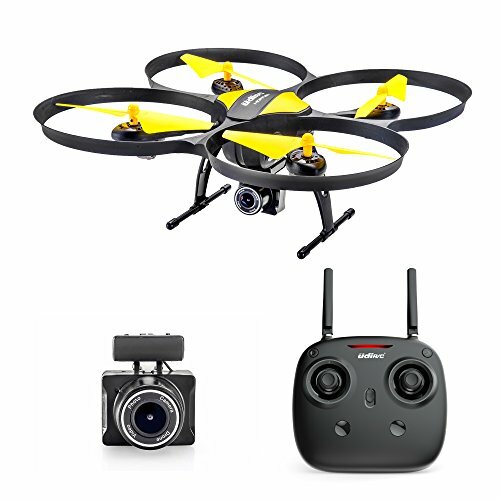 With its long range-type remote control, you will definitely enjoy the flight time. Moreover, the live video feed feature will assist you in viewing the live preview on your smartphone or tablet screen. 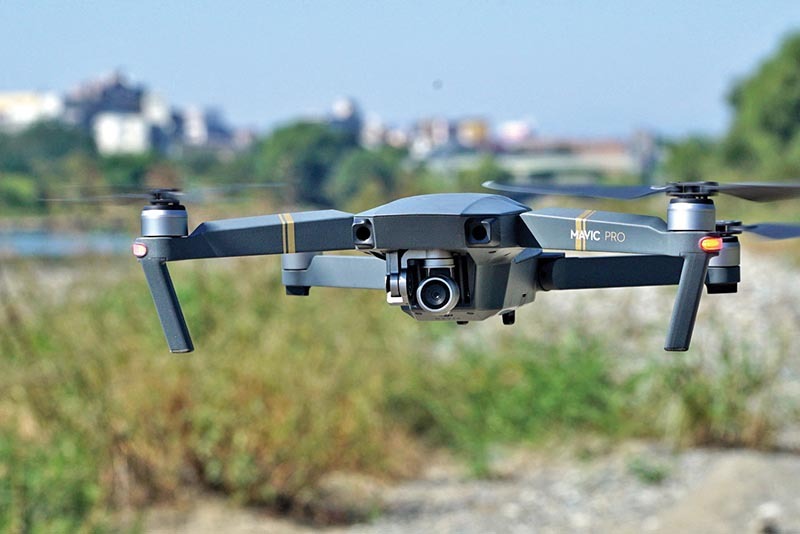 Further, DJI Mavic Pro offers a stable 4K recording, which makes it perfect for drone enthusiasts and aspiring filmmakers who are learning new video shooting skills. The key factor that makes DJI Mavic Pro stand out is its compact, easy to transport, and foldable design. You can take it anywhere you want and easily assemble it. 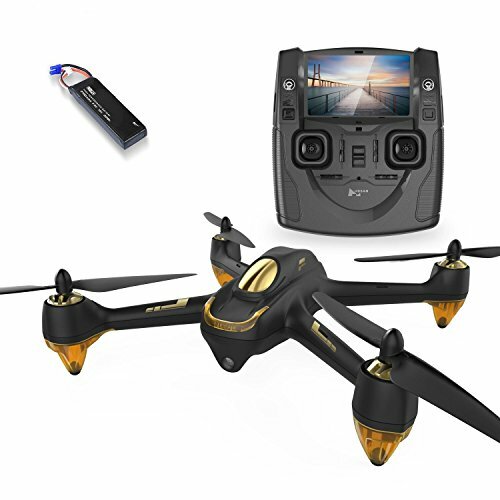 Moreover, this mini quadcopter drone offers the top flight speed of 40 Mph, which is normally faster than most quadcopter drones. It is equipped with a GPS system, Glonass, and advanced vision positioning system. This makes drone operation easy and subtle. Moreover, its front has a collision detection sensor that ensures the drone doesn’t stumble upon a wall or a tree, or any other object. DJI Mavic Pro can be called as a best-build design that has a tough, sturdy body with a rich feature set inside. Its surface is intelligently designed with numerous controls but still forms a compact size that can easily reside inside your backpack or purse. This mini quadcopter drone sports a clever hinges mechanism coupled with foldable arms that makes it even smaller when it is packed. 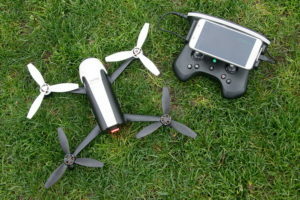 Hubsan drones are known for their use of a combination of unique designs and technology. 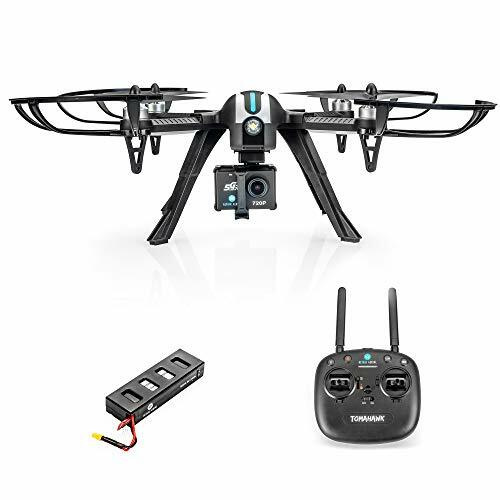 The Hubsan H501S X4 quadcopter drone is the new one in this category. This model is the successor of the X4 H107 model. It is one of the best offerings from the manufacturer with the combination of all the latest technologies. You will be impressed with its wonderful feature pack at such a reasonable price tag. 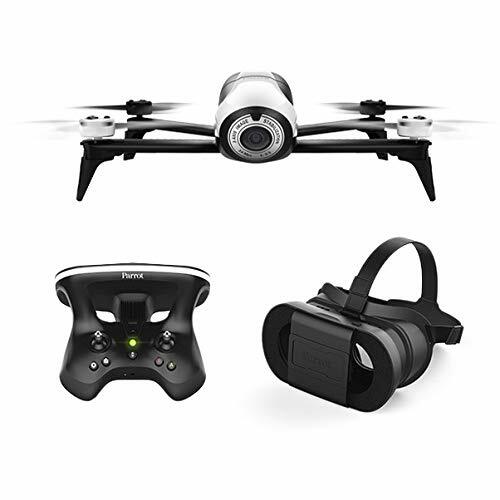 This drone boasts self-tightening type propellers with brushless motors and comes with the 1080p camera offering first-person-view (FPV). 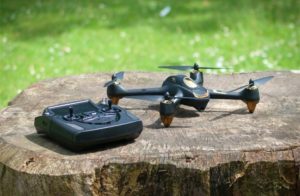 Hubsan H501S X4 can stay in the air for a period of 20 minutes. The drone includes all the advanced features including the built-in GPS. Unlike other drones, it doesn’t have a tall landing foot, rather it relies on small standoffs beneath the motor. The Hubsan H501S X4 is a non-folding drone yet boasts a compact design. The motors are brushless and its RC is quite large for a mini-drone that requires a whopping 8 AA batteries to operate. The 1080p camera captures quality picture and videos. This drone is slightly on the heavier side despite being small and compact. The drone is composed of AB plastic material that is highly durable. It can stand heavy crashes and comes in two unique colors – golden black and golden white. 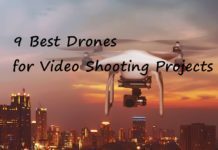 It is designed with sheer professionalism and can be used in your various ventures like drone photography, videography, racing, and other aspects. 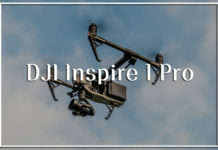 DJI is the industry leader when it comes to manufacturing drones for both professional as well as leisure purposes. 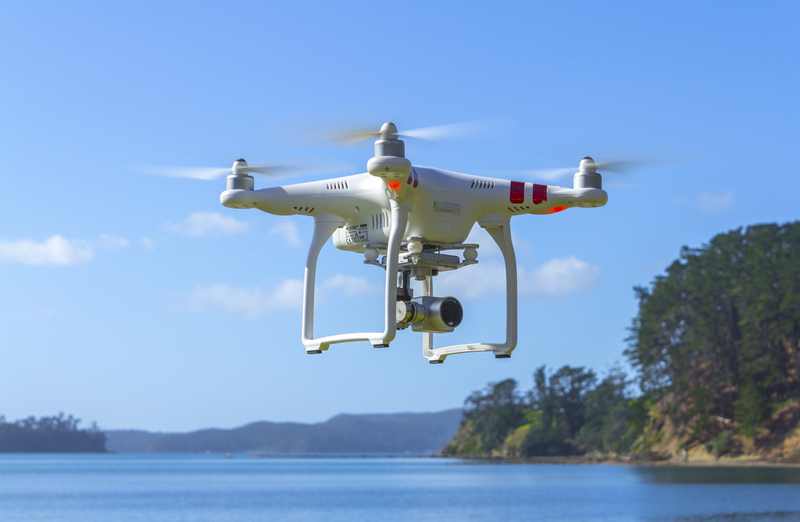 The DJI Phantom 3 Standard quadcopter is a magnificent addition to its UAV series. The ultimate selling point of this quadcopter its impeccable flight time of 25 minutes and the flight range of 1.2 miles in a single charge. Moreover, integrated 4K resolution feature with advanced stabilization ability enhances its recording focus. On the other hand, the return to home feature, flight path control abilities, sensor stabilization, and built-in GPS makes DJI Phantom 3 Standard quadcopter the best Christmas present for your loved one. 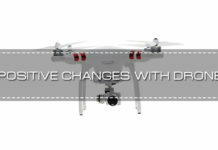 This latest model from DJI is meant for the beginners but works highly exceptional for the professionals as well. The impressive 2.7k video recording ability captures high-end videos and still images. 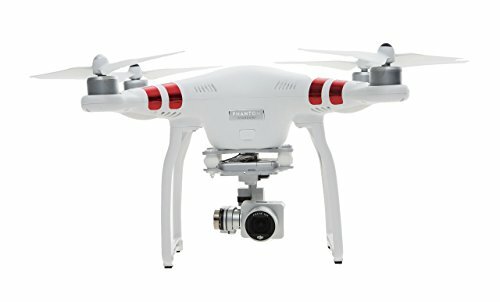 All these features make DJI Phantom 3 Standard the best drone for aerial videography and filmography. 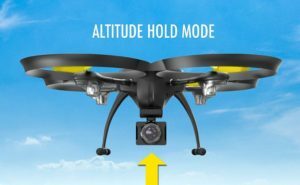 This airborne videography drone has better control features for all movements including remote areas. You can use the return to home feature to call the drone back whenever you need. Moreover, you can store up to 128 GB of data via MicroSD card. Its design is almost the same as the other models of the Phantom series but there are a few key differences when it comes to features and design. The case is made up of plain plastic material and you will see all the electronics including the battery inside its central body. The gimbal is fixed between the two landing arms that are attached to the bottom side of the drone. 818 Hornet RC Quadcopter is Altair’s excellent upgraded version of their original drone. 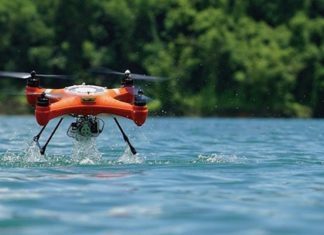 Thanks to its multiple speed modes, ability to hold altitude, and headless steering feature, the drone is still very beginner-friendly. 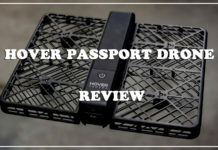 On the other hand, the very stable hover and long battery life give Altair 818 Hornet RC Quadcopter a much better utility for videography and photography. It comes in a large box with plenty of padding. Although its large size makes it awkward to carry on its own, this drone has the potential to accomplish your drone fantasies. Altair 818 Hornet RC Quadcopter, due to its large size, requires some assembly, but there is nothing particularly demanding. 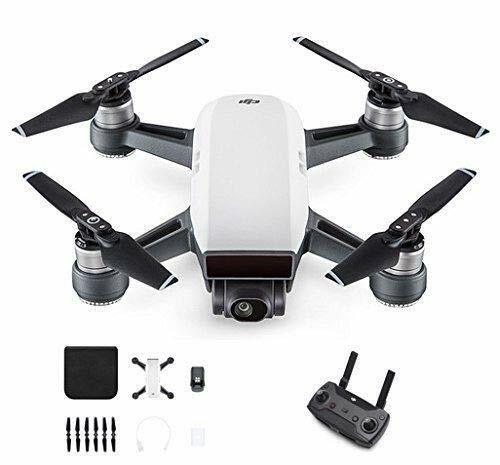 The beginners and first-time fliers can stay in the lowest speed mode and enjoy a variety of features including heading hold mode where you don’t have to worry about rectifying for left or right if the wind spins the drone. 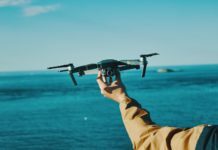 Moreover, the one-touch takeoff and landing feature allows you to get your drone in the air and back to the ground with a single button. There is an alarm system pre-installed that beeps and flashes the light when it gets low on battery or out of range. 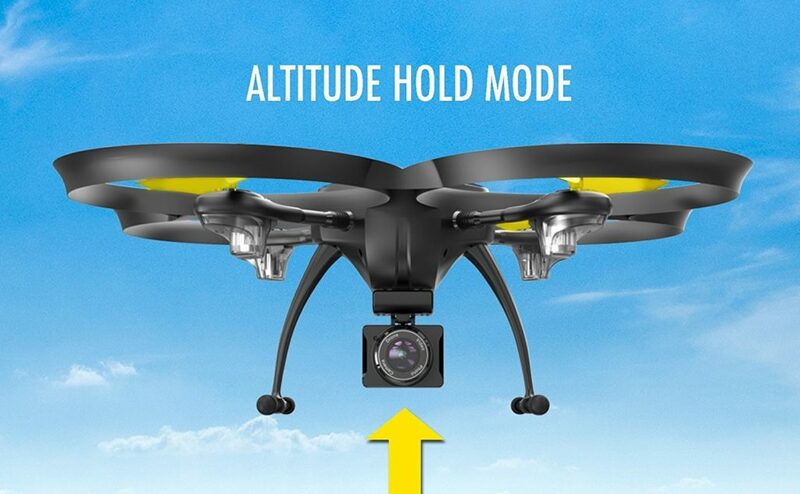 Last but not the least; the altitude hold mode lets the drone hover at the same position. Unlike your traditional drones, the Altair 818 Hornet RC Quadcopter is slightly offbeat when it comes to design. It is made of high-quality plastic and is lightweight. The rings formed around the propellers act as the guards protecting them in the events of crash or collision. This is not a ready-to-fly drone, thus, it requires some assembly. Thanks to the autonomous flying features, the Parrot quadcopters have become one of the most popular UAVs on the market. The original version of the quadcopter was extremely fun to fly but the Bebop 2 model makes new improvements in video quality, battery life, and performance. Its elegant design and features make it a suitable Christmas present for your loved one. 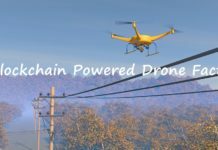 Although it is not as precise as other drones, the video features and performance it delivers make it a true leader in the drone market. 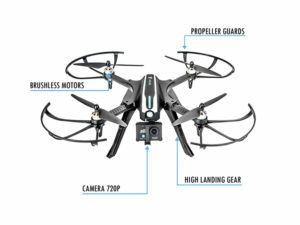 What you will like about Parrot Bebop 2 FPV Quadcopter is its improved stable movement with an ultrasound sensor and a three-axis accelerometer. These waypoint controls and improved sensors make the process of drone flying actually easy. The robust motors are known for their speed allowing the drone to reach the maximum altitude of 100 meters seconds after takeoff. 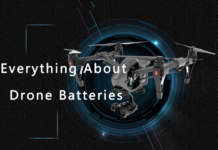 It boasts a 2700 mA battery that gives the drone the maximum flight time of 25 minutes. The two improved features on the drone include the free flight application and the return home feature. The free flight application lets you control your drone using a smartphone or a tablet. The design of Parrot Bebop 2 FPV Quadcopter has definitely transformed for resiliency and performance. The latest version of Bebop 2 model is much sturdier and easy to control using the mobile application. The quadcopter is designed keeping in mind the beginner users. The best part about operating a drone like this is that you can easily order extra parts as per your requirements whenever you want. 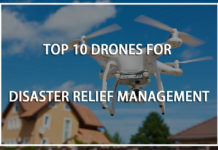 They are easily available allowing you to keep the drone running for a prolonged period. If you are looking for drones for beginners, we recommend starting with this beauty. The Altair Aerial AA108 quadcopter is not just meant for beginners but advanced fliers as well. It boasts an adjustable 3 skill levels of flight controls that make for an entertaining experience for the users. The drone has the latest advancements, one button takeoff and landing, altitude hold, headless mode, and more. Additionally, this quadcopter comes with an extra battery for increased flight time (almost double!). 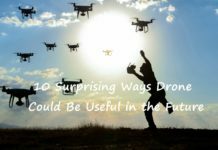 Aerial AA108, according to Altair, is the “perfect all-skill-levels drone” that focuses on providing an experience, especially to the first-time fliers. 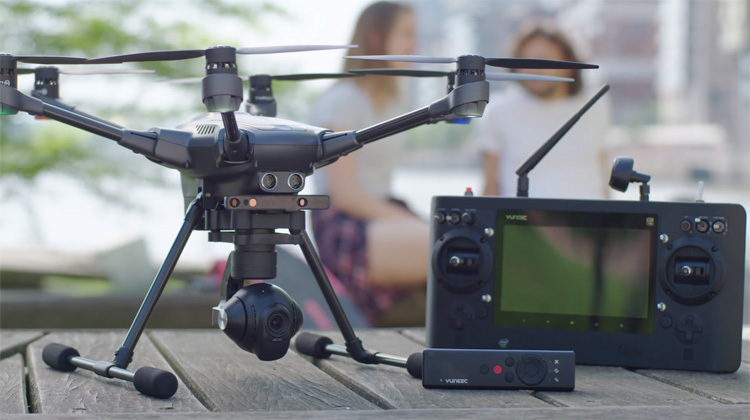 Unlike other drones, Altair Aerial AA108 falls little short on the features. But the flight route options and altitude hold feature, among others, are exceptional. Moreover, there is no GPS involved, thus, it fails to provide the pinpoint accuracy. However, the camera supports FPV and works perfectly with the FlyingSee mobile application. This well-constructed drone comes pre-assembled. All the components are composed of high-quality plastic material. There are no squeaky parts and all the parts are fitted tightly. This ensures that the drone doesn’t fall apart upon its collision with a tree or a wall. However, its propellers are on bit negative front but it comes with four extra propellers to address this issue. 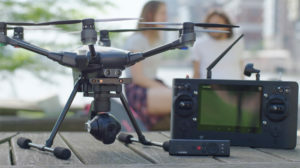 Yuneec Typhoon H Pro is a veteran in the drone market but still holds the capability to match the qualities and features of the modern drones. Its incredible features and design make this device an impressive Christmas present that your loved one will definitely cherish. 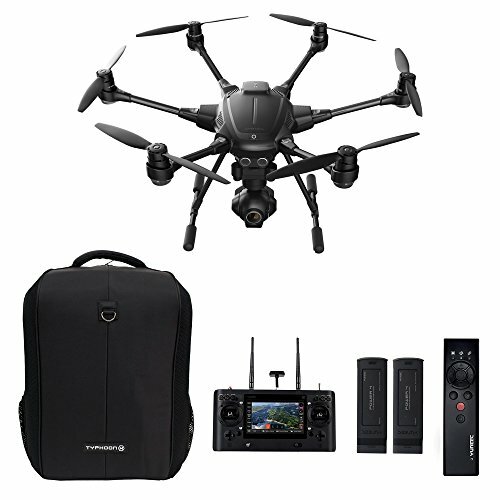 The Typhoon H Pro quadcopter is known for its aerial photography skills and is designed to meet the high-end needs of a drone enthusiast. 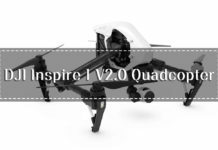 It has some features from Phantom 4 and some from the Inspire 1. Moreover, its styling makes it look a bit more advanced and professional than most UAVs if that’s what you are looking for. 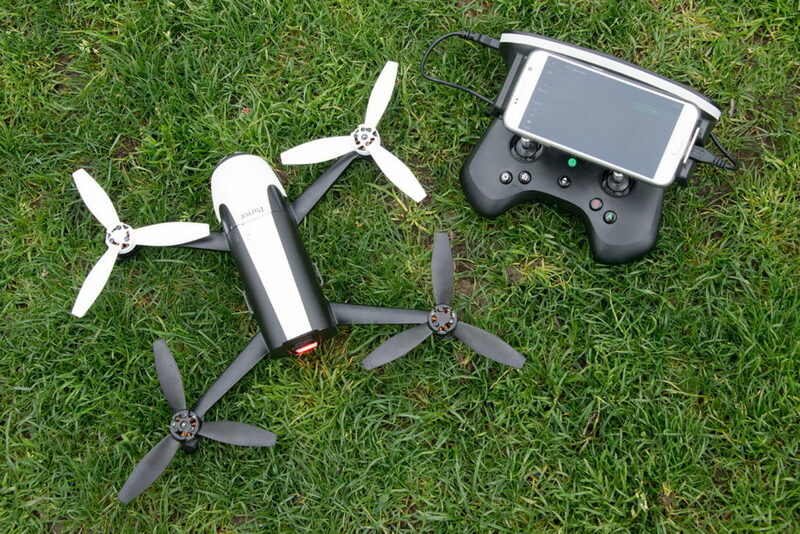 The drone comes with an all-Android controller; hence, you will not need a smartphone to operate the drone. The drone boasts six rotors allowing it to fly more smoothly through the air. 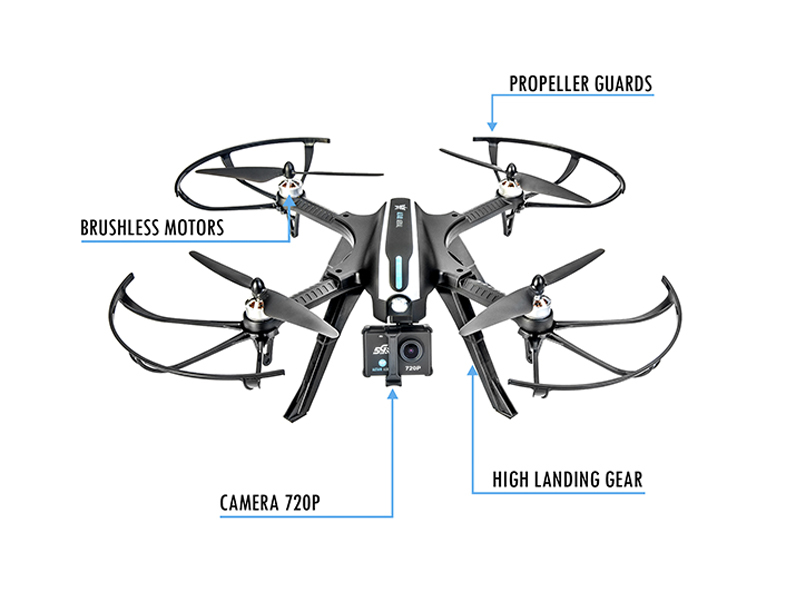 Yuneec Typhoon H Pro quadcopter boasts a foldable arms design and comes with quick-release type propellers. The drone also includes a sonar collision detection sensors that help avoid distractions on the way like walls, post, trees, etc. On the other hand, the real sense technology used makes it possible for the drone to easily navigate through objects. Flight Performance- the drone flies with a maximum speed of 45 mph and is designed with five unique modes for flight. Altair Tomahawk Drone is the newest addition to the manufacturer’s high-quality fleet of drones. The Tomahawk Drone is designed in such a way that anyone can get the hang of flying it. This quadcopter is flashy yet simple to operate. 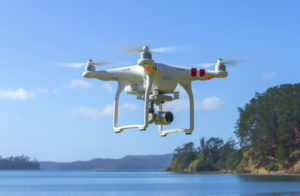 However, it doesn’t come with tons of features like other drones but incorporate useful features like altitude hold mode among others that help beginners and advanced fliers better understand its mechanics and get used to the controls. 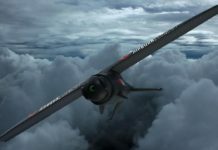 The high altitude mode integrated into Altair Tomahawk Drone is actually the default flight mode that makes it, even more, easier for the first-time fliers to figure it out. The professional mode, on the other hand, may seem a little intimidating to the users. 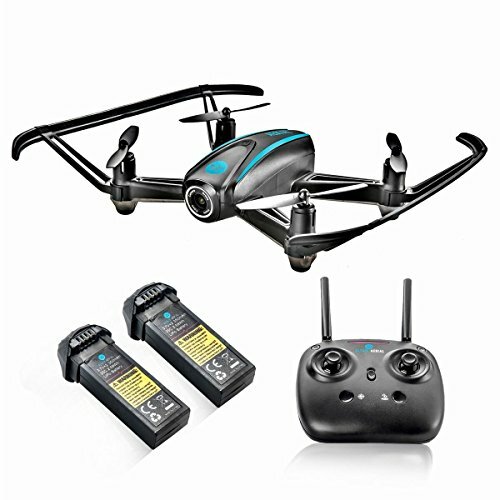 This is the drone best suitable for performing various stunts. The 3D flips and rolls feature makes doing tricks a child’s play. The Altair Tomahawk Drone is made of a high-quality plastic material that is sturdy in design. 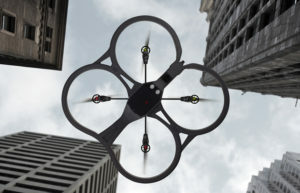 The aerodynamic design allows the drone to fly as high up to 300 meters. Moreover, it boasts a C5000 camera that you can replace with other similar models like GoPro. DJI Spark Mini Quadcopter is one of the best compact drones you can avail right now. It is a specialist piece of technology that offers a variety of features and functionalities. There is nothing simpler than capturing photos and videos with this mini quadcopter. 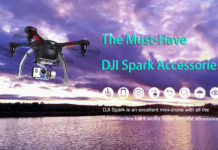 This functionality makes DJI Spark Mini Quadcopter a really smart mini-drone that is incredibly fun to fly. You will see all the sensors and electronics you would expect of a high-end advanced drone. 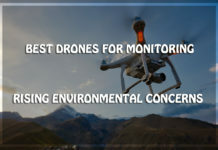 These include GLONASS and GPS features, allowing the drone to communicate with around 20-24 satellites simultaneously for precise positioning. Moreover, there is a 3D infrared sensing camera installed for object avoidance. There is a downward facing camera and an IR sensor that lets the drone fly indoors even when there is no GLONASS or GPS available. It is one of the smallest drones manufactured that fits right into your palm. You can simply launch the DJI Spark Mini Quadcopter right from your palm. It is incredibly lightweight and is available in different color choices including white, yellow, blue, green, and red. 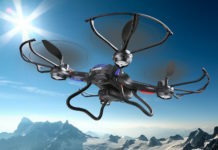 It is composed of tough plastic, so rough landings or collisions will not affect its frame or functioning. 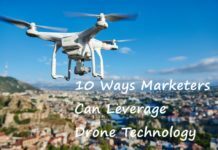 The mentioned drones are one of the best drones available on the market. If you want to look further, there are plenty of models of different brands available. 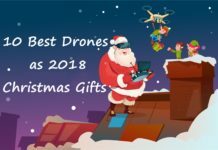 This is our list of the 10 best drones to gift this Christmas. You can choose any of them as per your preferences and choices. Previous articleImmersion RC Vortex 285 Review – Should You Buy It?